At the moment, those teams are scattered across office parks in other parts of Cupertino and in the nearby town of Sunnyvale, Bloomberg said. Sources for the publication explained that teams for Siri, Maps, iCloud, Apple Pay, Apple News, and parts of iTunes and Apple Music will be a part of the unification effort. The company is also said to be shifting its cloud infrastructure onto a single Apple-made platform codenamed "Pie," giving it more control and potentially some speed boosts. Parts of Siri, Apple News, and the iTunes Store are already being moved over, and the company has developed a photo storage system —"McQueen" —meant to reduce dependence on Amazon and Google servers. A full transition to Pie could take several years. Meanwhile, the current workforce situation is said to be responsible for bugs and slower product development. Apple is allegedly interested in improving the growth of its cloud services, and better competing with Amazon and Google. The plan is said to be contingent on the transition of other people at 1 Infinite Loop to Campus 2, Apple's much larger ring-shaped headquarters still under construction. The first move-ins there aren't scheduled until sometime in 2017. 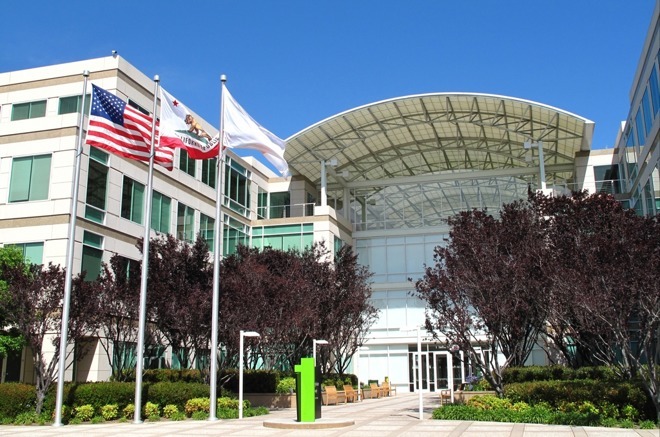 One source noted that a committee of Apple managers recently decided that Campus 2 will see thousands more workers located there than the 13,000 it originally intended, forcing them to reallocate office space in the new building. To get a formal office, people will now have to be at the VP level or higher, rather than just a senior director. Two sources commented that for average employees, much of the workspace will make use of bench seating, long tables, and open cubicles.